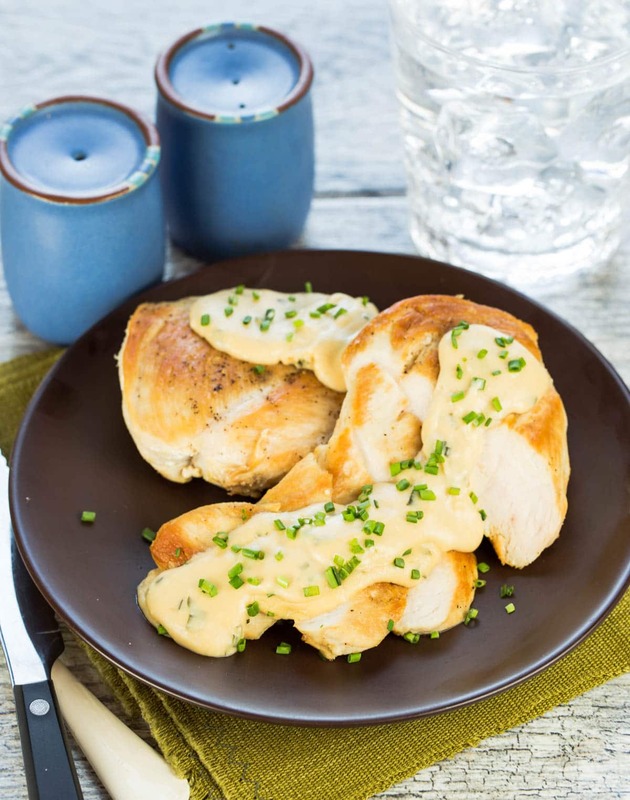 Chicken with Feta Cheese Sauce is one of our first recipes on Garnish with Lemon – and it’s still one of the most popular to date. Come see why so many people love this quick and easy dinner! Chicken with Feta Cheese Sauce has long been a crowd-pleaser at my house. It’s not super fancy food, and it’s not complicated to make, but it’s always a hit. 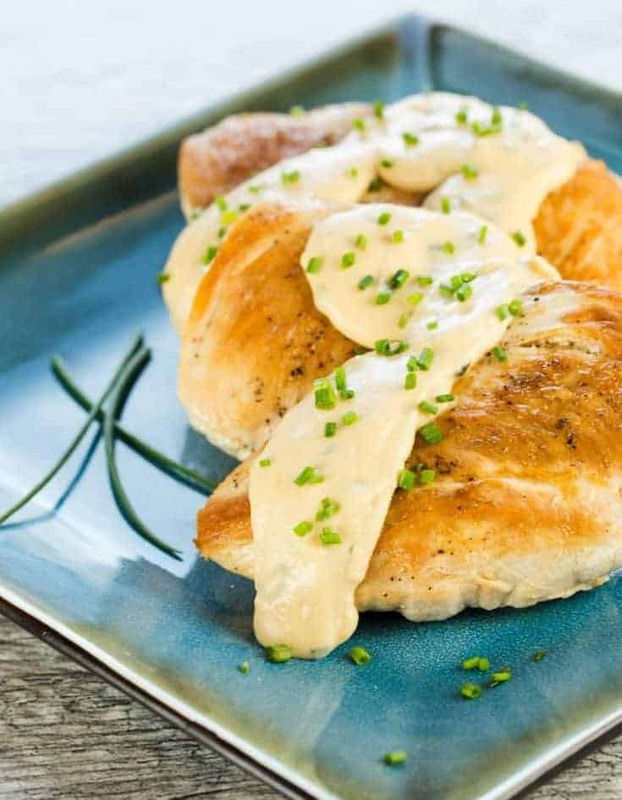 There are only so many ways you can excite people about chicken, but this Chicken with Feta Cheese Sauce recipe is one of them! That savory, luscious feta cheese sauce steals the show here – with good reason. If using a block of feta cheese, grate it as finely as possible. If using pre-crumbled feta cheese, try to break up the cheese into as small of pieces as possible. (There are always huge chunks in my feta whenever I buy it pre-crumbled). The finer the grate of the cheese, the easier your feta cheese will “melt”. Stir in your cheese a few handfuls at a time to ensure a smoother and more even incorporation into the sauce. 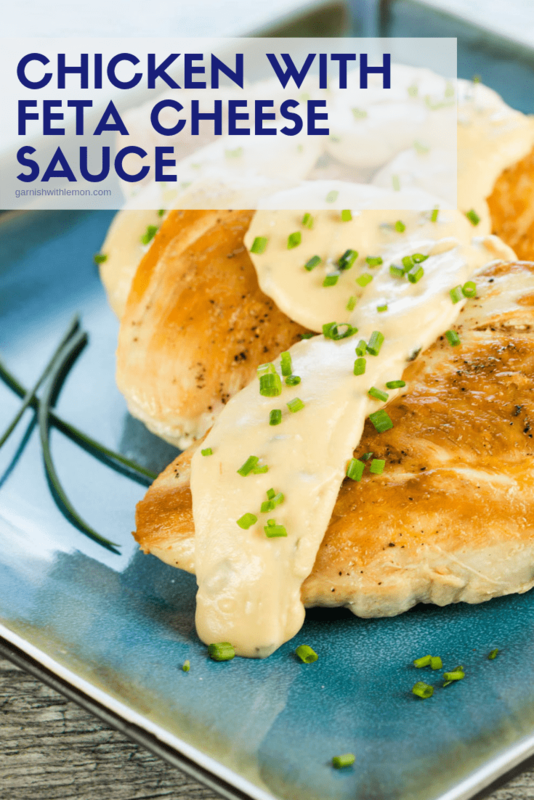 Now I’ve been known to make extra of this feta cheese sauce just to eat it by itself or toss it with an assortment of leftovers, but it definitely shines when poured over the chicken breasts. You can make the sauce ahead of time if you’re in a time crunch. Simply reheat when ready to serve. Tip: Fresh chives are a MUST in this recipe. 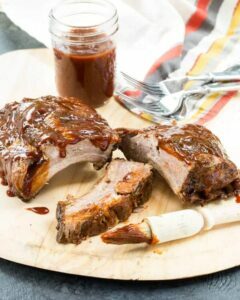 They add such a delicious pop of flavor to the sauce. I’ve also used the refrigerated freeze-dried chives found in the produce section in a pinch, but fresh chives are always my first choice. But my family’s favorite way to eat this dish is with couscous or rice to soak up the savory sauce. Add a veggie of choice and, voila, dinner is served! Yes, you guys love Chicken with Feta Cheese Sauce, but we’ve noticed that you also have a few other favorites. Don’t miss three more of our most popular posts on Garnish with Lemon! There are so many scrumptious chicken recipes out there! Check out some of our favorites! Heat skillet over medium-high heat. Lightly coat chicken breasts with olive oil. Sprinkle with salt and pepper. Add chicken to pan when hot. Cook 4-5 minutes per side or until cooked through. Remove from heat and keep warm. Meanwhile, melt butter in a saucepan over medium heat. Add flour and whisk constantly for one minute. Gradually add milk, whisking constantly. Stir in chives and reduce heat to medium-low. Simmer 5-7 minutes or until thick, stirring occasionally. Add cheese by the handful and stir until cheese is melted. You may have extra sauce, depending on how saucy you like your chicken. Made this for my family. 3 out of 4 kids liked it so that is a win in my book!! I did not have evaporated milk so used regular milk, but the sauce was still delicious. Now if I could get them to eat the vegetables with the chicken! Thanks for sharing. Will definitely make again. Will be trying this soon. Sounds great !! Cooked this the other night and it was a tremendous hit. Thanks. Hooray! It’s so fun to find something that everyone agrees on. this was yummy although I put my own spin on I added basil rather than chives and served it over pasta. kinda a cheesy alfredo. Fun twist! It is definitely a recipe that you can adapt to your own taste. So glad you enjoyed it. Thanks for sharing! Delicious! 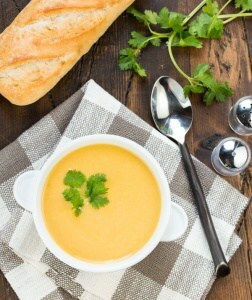 I love this recipe… I’ve made it several times! Hi Sabrina, so glad you like it! It’s a crowd-pleaser at our house, too. It says 1cup of feta. Is that cubed or grated? I usually purchase feta that is already crumbled, and that’s what I used for this recipe. Enjoy! I spotted this recipe on Pinterest recently. I made it for dinner recently and used tomato basil feta and it was so yummy!!! Hi Lynn, That sounds like a fun twist! Is there anything that could be a substitute for the milk? Hi Abby, I’ve never made it without the evaporated milk, but I did a quick Google search and found several ideas for evaporated milk substitutions. Try that and let me know how it turns out! Made this last night and it was yummy. My husband came home at lunch today just so he can have the left over. That’s how much he really loved it 😉 My kids asked me to make this again today LOL! Thanks Anna for sharing this yummy recipe. You know you have a winner when they ask for more. I’m thrilled everyone enjoyed it. Thanks for coming back and letting us know! Hi Jan, I have never substituted another cheese, so I can’t say for sure how using something else will change the flavor of the dish. That said, the first thing that comes to mind is a queso fresco. It’s crumbly like feta but has a mild flavor. Let me know how it turns out! Used this as a base, added garlic, onion, tomato, rosemary to the save as it simmered. OMG, then kabobs and flatbread with a pesto sauce and ALL ate every bit of it, even the six year load asked for seconds!!!! Oh, WOW, that sounds amazing! Can’t wait to try that variation, Jim. Thanks for sharing! It’s super tasty, Colleen. Hope you try it! This was so good we both had seconds! The sauce will not be too good of a leftover so eat it all tonight! I’m thrilled you enjoyed it, Julie. Thanks for stopping back to leave your thoughts! I could just dive right into that cheese sauce! This dish looks positively amaaazing! Oh, this looks dangerously good – it is sure to become a hit at our house as well! Made this because I had some leftover steak, and I served it over egg noodles. For such a simple recipe it was amazingly good. I didn’t have chive, but used some dehydrated onion with an extra splash of milk to make sure they didn’t take all the moisture. Thank you so much! I will definitely make this again! So glad you were able to adapt the recipe to work with your leftovers. Thanks for reporting back on your success, Lindsay! Hi Rachel, you really do need the full amount of milk for this recipe. I’ve read about how you can reduce regular milk on the stove to a certain point as a substitute for evaporated milk, but I’ve never tried it myself. If you’re feeling adventuresome, give it a try and see how it goes. And stop back to let us know! Yay! This sounds so delicious!! I should try this very soon. This sauce should do wonders with broccoli, beets or chard as well – don’t boil these veggies, but use the pan you baked the chicken in to stir fry or char or grill them. If you don’t like feta, try any mature cheddar. I even like it with blue cheeses and garlic. Great ideas, Alice. Thanks for sharing! I made this tonight and we absolutely loved it! I added fresh oregano & it imparted an amazing flavor throughout the sauce. 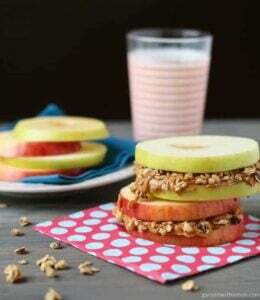 Super easy recipe that is now on one of my pinterest boards. Thanks. Hi Lisa, So glad you enjoyed it! Thanks for stopping back to let us know! I can’t wait to make this! I love feta cheese on anything. So pleased to come across your recipe for Feta Cheese Sauce. Definitely will prepare and enjoy this! Believe it would be lovely on grilled Salmon. Hi Linda, we enjoy the sauce in a variety of ways, too. Hope you enjoy it! Oh my goodness, this recipe is AMAZING! We grilled several chicken breasts that had olive oil, salt, pepper, cayenne, and smoked paprika sprinkled on them. The feta cheese sauce was so delicious smothered over the top of the chicken breast. I felt like I was eating a meal from a fancy restaurant… Couldn’t believe how easy it was to prepare. This recipe is a keeper! That sounds so good, Melissa! I’m thrilled that you enjoyed the recipe. Thanks for stopping back to let us know! The feta cheese in this dish can be replaced by another substitute of it such as cheddar cheese, can’t it? Since the feta is high in saturated fat so i want to use something instead. Hi Lita, I’ve never subbed in another cheese so I can’t say for sure, but please stop back and let us know how it works for you! I made this today and couldn’t get the sauce to be smooth. The feta just wouldn’t melt. I added s little at a time like you said. Kinda bumned! Hi Jessa, hope it still tasted great!